How Sage Empowered 14 000 Employees on Social Media...in One Day! On Wednesday March 23rd at 11:30 CET, social media and content marketing agency Brainsonic will host a live video interview with Xavier Monty, Head of Social Media at Sage, to discuss how the group has successfully launched a global employee advocacy program for 14 000 people in 23 countries. 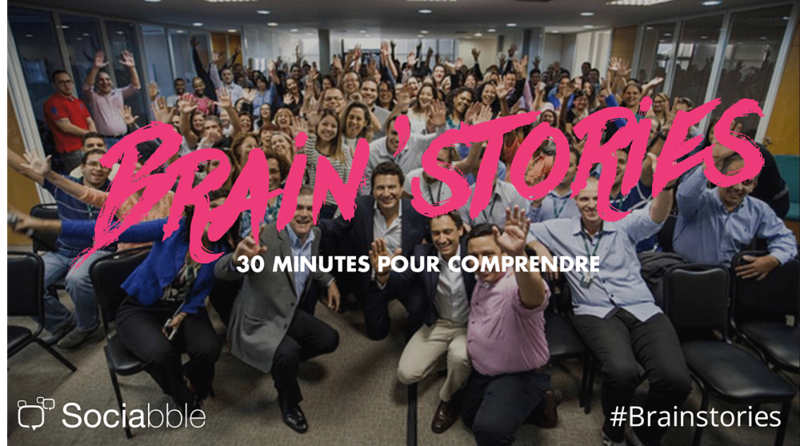 During the live #Brainstories session, which will take place in French, Xavier Monty will join social media consultants from Brainsonic to discuss how Sage worked with the agency on #SociableDay. #SociableDay is a global video conference dedicated to social media best practices; during which the Sociabble employee advocacy platform was launched throughout the organization. Integrated in Salesforce and Chatter, Sociabble is available to all Sage employees; both on desktop and as a native mobile app. The platform allows employees to access all the latest company content. Users can organize content into specific channels and then share it on their own social networks at the click of a button. During the interview, Xavier Monty will discuss how launching a company-wide employee advocacy program has enabled Sage to become a truly social company; by empowering all employees as brand ambassadors on social media. Audiences can watch the live interview online by registering, and can engage directly with speakers by asking questions via the Live Timeline. There is also a teaser video available on YouTube. Can’t make it on the 23rd? Don’t panic! A replay of the interview will also be available after the event.